Our five year old Labrador had her third and final litter of puppies in early February. They will be ready to go to new homes the first week of April. Both parents live at home with us and can be seen with the puppies. There’s a page set up for each of them under the Puppies tab, 2019 litter. She had her second litter of eight puppies of four boys and four girls in 2018. They range in colour from dark red to pale yellow – see the Puppies tab (2018 litter). 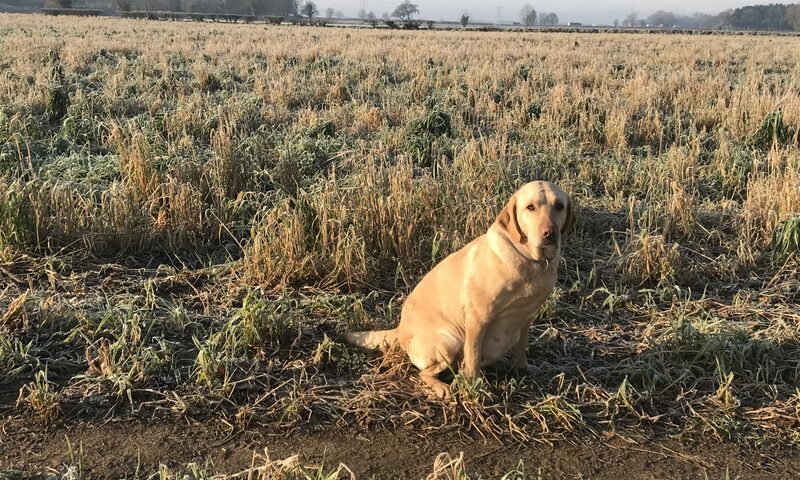 We’ve kept in touch with lots of the new owners who send us pictures and keep us updated on their progress – see https://www.yorklabradors.com/2019/01/27/2018-litter-growing-up/ for pictures. Her first litter in 2017 was seven yellow and red puppies (one girl and six boys) in 2017. We have kept all the information and pictures under the Puppies tab (2017 litter) and we track their weight daily for the first two weeks and then weekly, as well as uploading regular pictures of their progress. 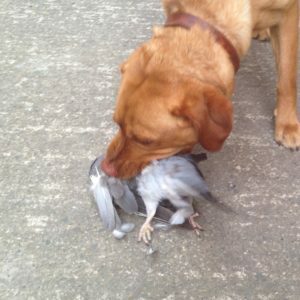 The puppies’ parents are both trained pedigree and KC-registered English gun dogs. They are also fantastic family pets. Great natured, easy to command and very loving. Although they have never been entered for field trials their parents are acclaimed FTC winners. 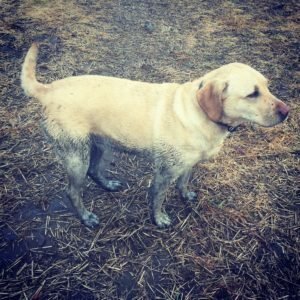 The Labrador Retriever is a dog breed suited as a retriever-gun dog. Also just known as a Labrador, it is one of the most popular breeds of dog in the United Kingdom and the United States. Originally, the breed developed from crossing Newfoundlands, mastiffs and the St. John’s water dog in Canada. It’s natural ability in cold water and great swimming agility, made them perfect for water. The Labrador was originally trained to receive fishing nets off the coast of Canada in the 1800s. 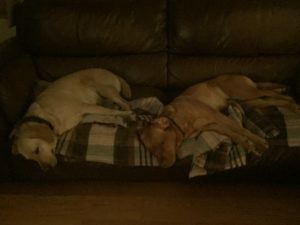 Rapunzel is a Golden/Yellow Labrador, whereas Tetley is a Fox Red Labrador – a further variation of the yellow. 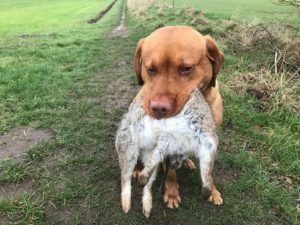 The Fox Red Labrador is actually the original butterscotch yellow colour of the early Labradors, which has been fed back into the blood lines from the late 1970’s. 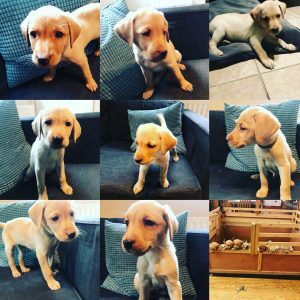 Our Labrador puppies are available early April 2019 and are £700 each. All can be reserved with a £100 deposit.